Bowling Members Statistics for B.C.C. Zone 15 Clubs. With 3,119 registered bowlers and 26 member Clubs, Bowls Central Coast Zone 15 is one of the larger Zones of the Royal New South Wales Bowling Association. 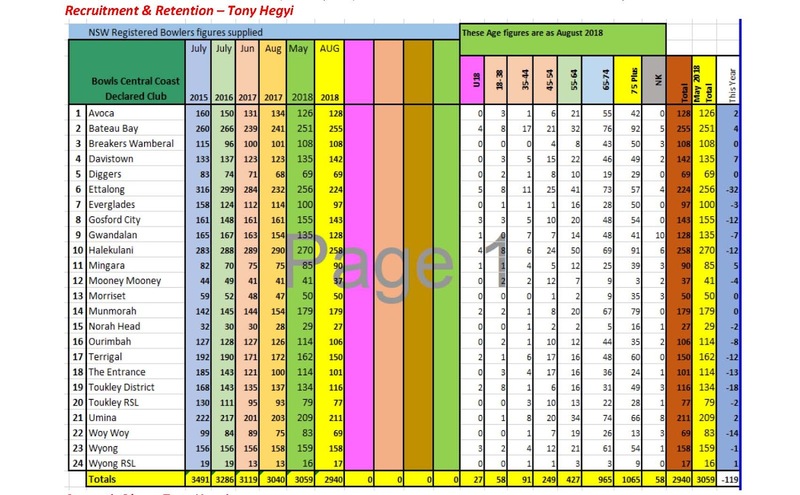 This graph shows the bowling membership for each club in Zone 15 for the years from 2006 to 2018.